I have been to Iceland many times before, six to be exact, and this time I was lucky and got the chance to go to the beautiful islands of Vestmanna. And what a fantastic day to go! 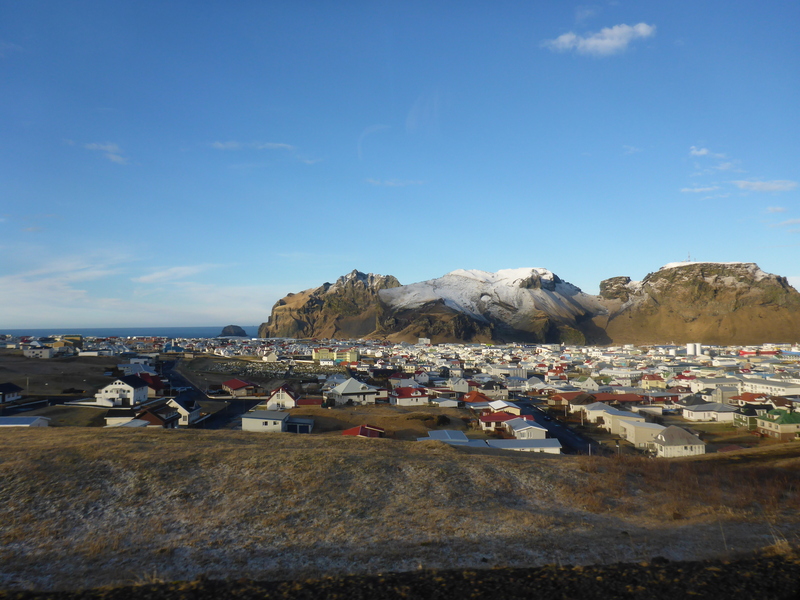 Vestmannaeyjar is situated about 20 min by plane from Reykjavik, but can also be reached by boat from Landeyjarhöfn on the mainland. As I was staying at Hotel Natura I was literally only a stone throw away from the domestic airport where the 19 seats small plane from Eagle Air flew from. 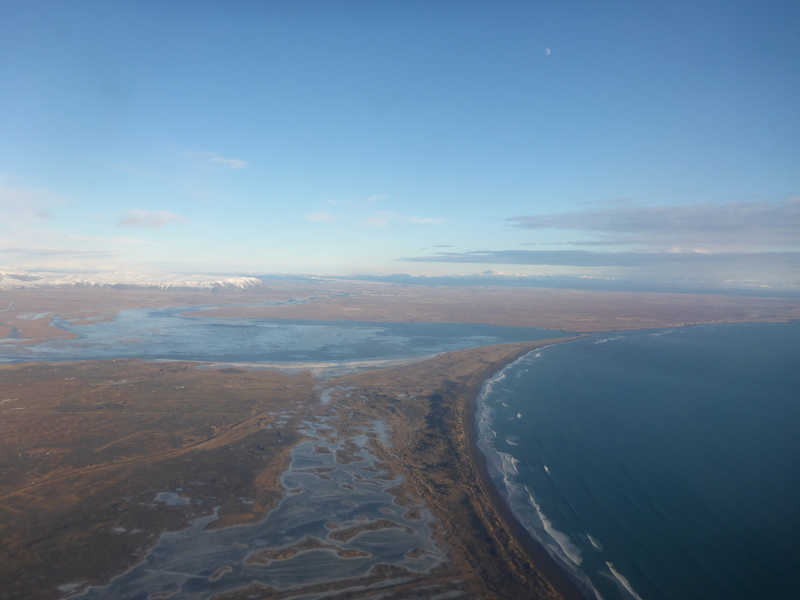 The flying conditions were great, with marvellous views of snow caped mountains and black lava fields. 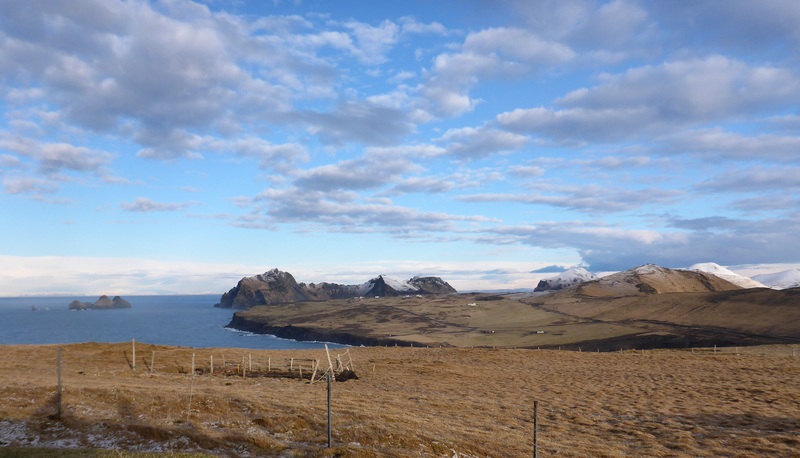 The biggest of the Vestmannaeyjar (islands) is called Heimaey (meaning home island), and was first inhabited in year 874 AD by the Vikings that came across from Norway. In 1874, there was a big celebration for the 1000 year anniversary of the first settlers in Iceland. 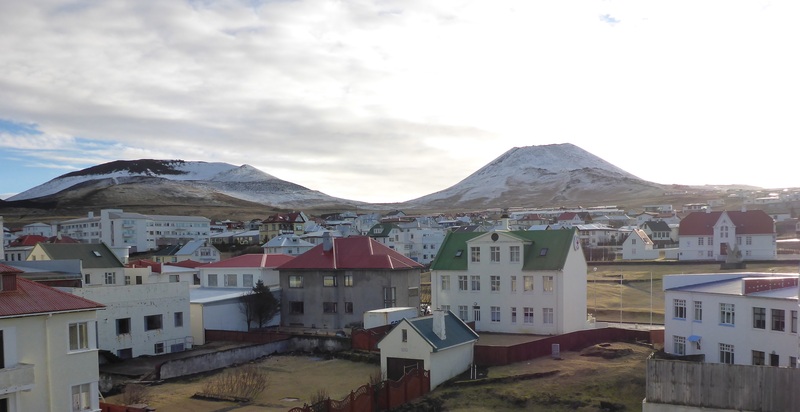 Due to bad weather, the inhabitants of Vestmannaeyjar could not get across to participate in the celebrations on the mainland, so they had to create their own party. It became a tradition, and has been celebrated ever since. The festival is called Þjóðhátíð, and is held every year in late July or beginning of August. People gather from all over, about 20.000 persons in total, so it is a really big event. In addition to the music from the outdoor stage, there are lots of other things going on. Of the highlights – the great bonfire, the magnificent fireworks and the powerful sound of everybody singing along to the well known songs – should be mentioned. Just imagine the atmosphere! Vestmannaeyjar is a relatively young group of islands, created about 6000 years ago by volcanic eruption, and there is still a lot of volcanic activity. I can still remember the great impression it made when I learned about Surtsey in primary school. The island appeared after a volcanic eruption in 1963, and is the worlds youngest island. It is now also a great source for scientists researching developing of new life. In 1973 there was another big eruption, creating the volcano crater Eldfell, rising 200 metres above sea level. More than 400 houses was destroyed by the volcanic lava, ash and tephra, and the whole island was evacuated. A few years ago they tried to dig out some of the houses covered by the 15m thick layer of tephra. Amazingly, they found well-preserved homes, still standing as the families left them. Unfortunately they had to close it again, as the released tephra was flying everywhere in the wind. In May 2014 a new museum will open on the spot of the excavation, so at least one of the houses is dug out again inside the museum. If you are keen on seeing the islands and skerries from the sea side, you can join a 90 minutes boat trip. Or if you want to swing the golf club, you can try the popular 18 hole golf course. Did you get tempted? 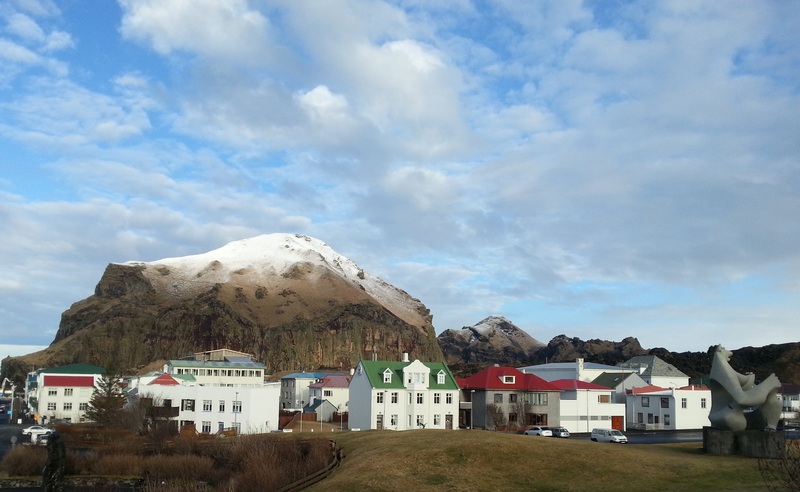 See more interesting things to do on Vestmannaeyjar. Icelandair fly directly from 12 destinations in US/Canada and 26 destinations in Europe. By 20 minute flight from the domestic airport in Reykjavik by Eagle Air or by car ferry from Landeyjarhöfn on the mainland. This journey takes 35 minutes, and has five daily departures during summer, and four during the winter. Pingback: Island og Grønland | Life is a journey!